Yachts set sail from the Malibu Quarterdeck Club in this artist's renedering of the harbor and private luxury yacht club proposed for the Malibu Lagoon in 1947. The club house was designed by Cliff May. The nearly mile-long breakwater is decorated with a faux lighthouse. The developer of this particular version of a Malibu harbor wanted it so badly that he started construction before getting a permit and in the middle of massive controversy. The Malibu Times had a front page article this week on how developers Steve Soboroff—owner of the property destined for the "Whole Foods in the Park" development, and David Resnick—owner of the Malibu Bay Company, with plans for more than 120,000 square feet of new commercial development between them in the Civic Center area, have filed suit against the City of Malibu over Measure R, the initiative passed by 60 percent of Malibu voters in November that requires developers like these to obtain voter approval for new commercial development in excess of 20,000 square feet. The case will be heard in federal court and the outcome, whatever it is, may take years to be decided. It's hard to know at this point what the developers hope to gain through the lawsuit. 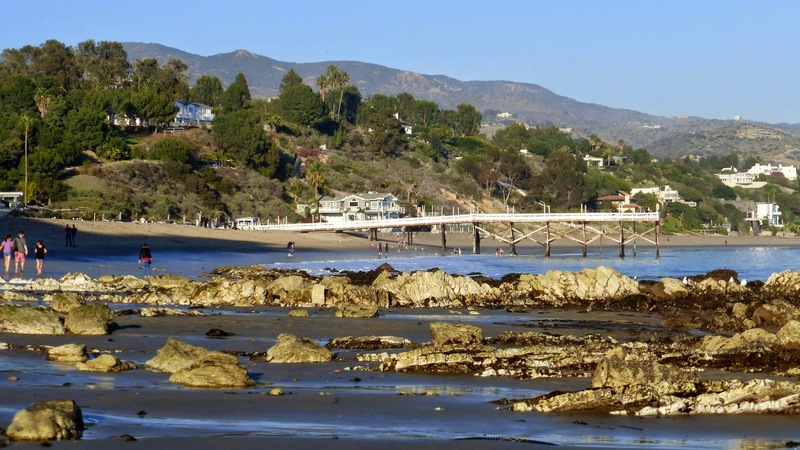 While there's a good chance that Malibu voters may have passed somewhat scaled-down versions of both development projects through the Measure R process, it seems unlikely that the developers will succeed in challenging the measure's constitutionality. But the developers filing the suit may have other motives. They may hope to reach a settlement with the city. And they wouldn't be the first developers in Malibu who refused to let go of a cherished plan even when the entire community united against it. The prize for persistence in pursuing what may be the most universally unwelcome project in Malibu history goes to the series of developers who sought to build a Malibu yacht club and harbor, a project that, like a grade z horror movie monster, simply would not die, returning every decade from the 1940s to the '70s, despite constant opposition from the community. In the end, the community won. But it was a long, strange, journey. The first plan to build a Malibu marina was proposed by a developer named Hiram Helm. In 1927, Helm released plans for a massive yacht harbor and luxury development on 400 acres at Miller Ranch, along the coast at what is now Point Mugu State Park. 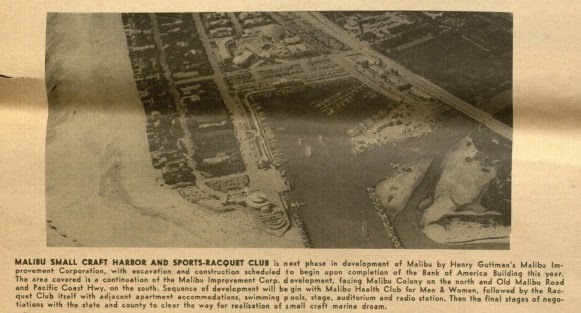 An article in the August 21, 1927 issue of the Los Angeles Times calls the project the "Malibu Palisades," and states that the "seaside residential and resort project involving a five-year development program and the expenditure of $5,000,000 is to be launched early in 1928 on 400 acres of the Miller ranch bordering the Los Angeles county line in Ventura county and fronting on the new Roosevelt Highway," and that it would feature "hotels, golf courses and homes, fresh water lagoons, a breakwater and yacht harbor." A similar plan emerged again decades later in the 1970s on the still undeveloped three-mile stretch of coast west of Deer Creek, known as the Mansdorf property, and again in 1994, when a politician named Carter Ward, who was running for Ventura County supervisor, proposed a scheme to develop a "world class marina," on the site, with 3500 boat slips, according to the L.A. Times. Another yacht harbor was proposed in 1929 as part of the La Costa development. La Costa was the first section of the 17,000-acre Malibu Rancho to be subdivided and sold. The February 1947 issue of The Californian Magazine has this to say about the plan: [May Knight Rindge] floated an $8 million bond issue and plans were drawn for lush clubs, a yacht harbor and other accoutrements of a proper Riviera." May Rindge, who became the sole owner of the Malibu Rancho when her husband, Frederick Hastings Rindge, died in 1905, was forced to sell the property to raise funds to continue her increasingly expensive fight with the county and the state over the easement across the ranch for a coast route, now Pacific Coast Highway. The article states that "the depression and the jailing of promoter Harold G. Ferguson left the plan to fade on the blueprints." Ferguson went to San Quentin for shady business dealings, and the bondholders foreclosed, leaving May Rindge, now more deeply in debt than ever, to cope with the aftermath. It's unclear whether the La Costa or west Malibu marina plans ever advanced to a more concrete form than pipe smoke and artists' renderings, but the Quarterdeck Club at the Malibu Lagoon nearly became a reality. Twice. 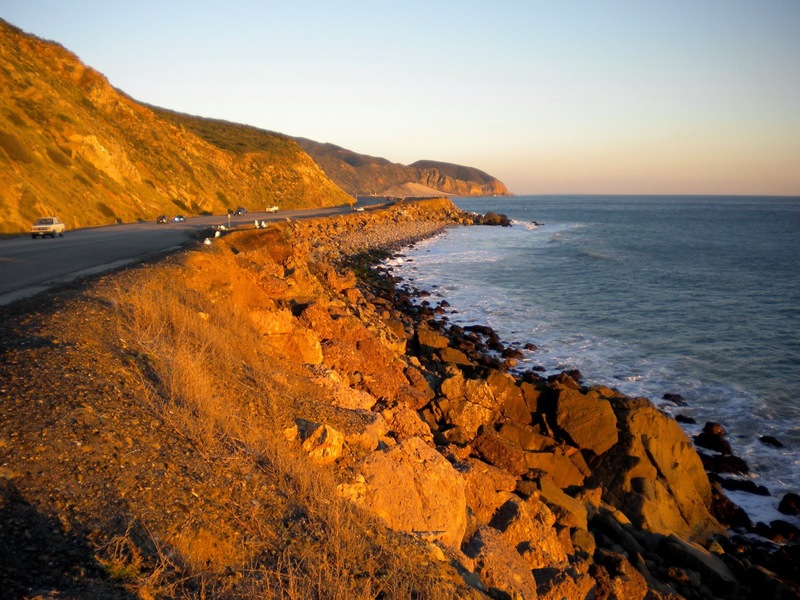 Defeating the project would be one of the biggest environmental fights in Malibu's history. Cliff May, the architect famed for developing the California ranch house, was enlisted to design a clubhouse and surrounding grounds in a “style reminiscent of the South Seas.” The plans called for “hand-hewn redwood with aquamarine tile roofing. A 14-foot glass windshield, constructed of specially treated glass and metals and inverted like the prow of a ship, will be placed atop the breakwater to protect bathers and those dining on the outdoor terraces and in dining rooms,” plans for the project state. The Malibu Marina has to be one of the worst ideas in Malibu history and an ecological disaster, but the designs for the Cliff May-designed club house are spiffy. In some alternate reality it would have been lovely to sit on the terrace and sip one of those 1950s drinks with the pineapple and the little umbrellas and admire the ships sailing by. 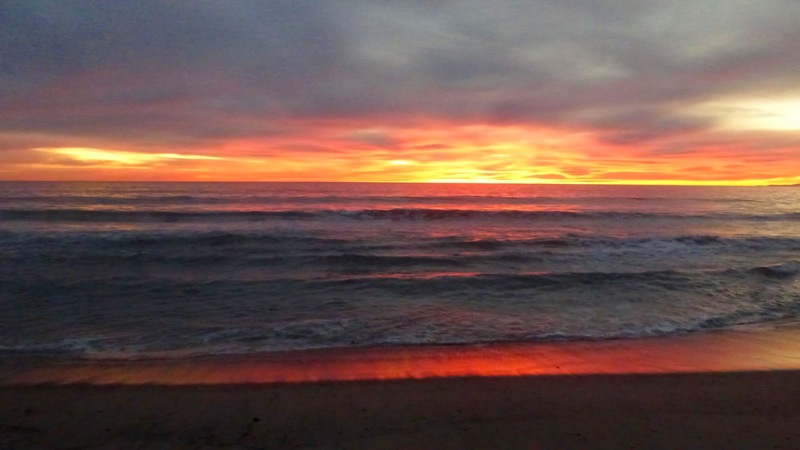 Not lovely enough, however, to be worth sacrificing the Malibu Lagoon and Surfrider Beach. "Within a year it is hoped that this prediction will have become a reality," The Californian enthused. "Motorboats and yachts of club members should, by then, be able to anchor in the dredged-out creek delta. And in another year the ultra-modern Quarterdeck Club, designed by Cliff May, should be abuzz with its 1000 members bent upon getting their two thousand dollars worth of pleasure. Plenty of opportunity will be offered them. Aside from the luxurious club, its shielded swimming pool, sand areas and guest rooms, there will be the feature attraction: Southern California's only harbor owned by a private club. It will accommodate 750 small craft in the inner harbor and larger vessels along the outer breakwater. Extra fancy is a planned two-story boat garage equipped with boat elevators and providing "valet" service for parking all kinds of pleasure craft up to thirty-footers. This is a Riviera development of no mean sort." The optimistic Turner built a pair of Quonset huts on the west side of the lagoon to house the heavy equipment required for the project and began work dredging before final approvals from the county were in place. 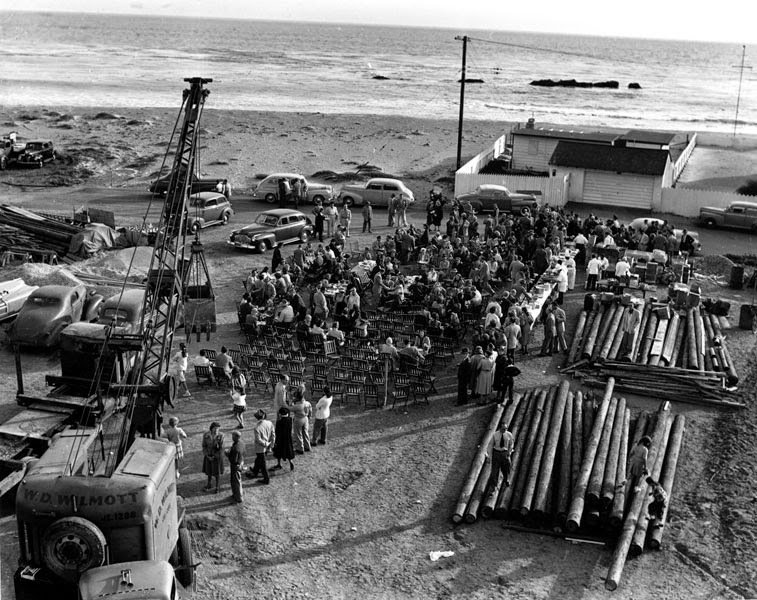 An audience gathers for a ceremony commemorating the "driving of the first pile" in September 1947 at the site of the Quarterdeck Club House. The cars and crowd of onlookers are dwarfed by steam shovels and stacks of lumber. This photo is from the Los Angeles Library Digital Archive. More photos of the same event can be viewed here. However, Rhoda Adamson, Rindge’s daughter, who still owned the Adamson House with her husband Merritt Adamson, vehemently opposed the plan, as did William Huber, the owner of the Malibu Pier, and other members of the community. The battle raged for over a year in front of the Los Angeles County Board of Supervisors. The headline of the front page of the June 20, 1947 Malibu Times. One of the main arguments is the one that would lead eventually to the Coastal Act and the formation of the Coastal Commission: public access. The first generation of surfers at Surfrider and the public who only achieved access to the beaches at Malibu in 1929, when the coast route opened, argued that the private yacht club would bar the public from the beach and destroy an important public resource. 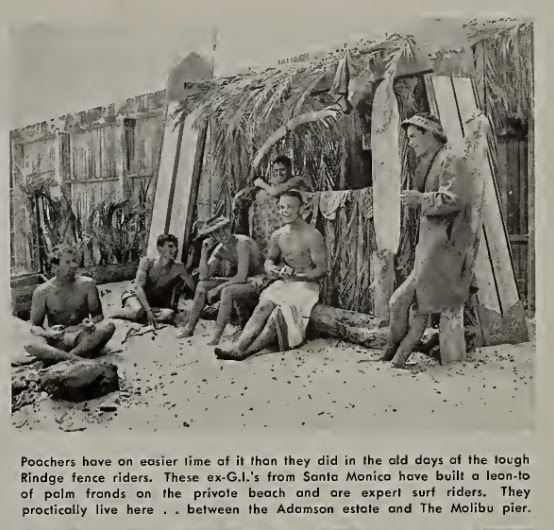 The caption for this photo from the June 1947 Californian Magazine describes the first generation of Malibu surfers as "ex-G.I.s from Santa Monica...they practically live here. 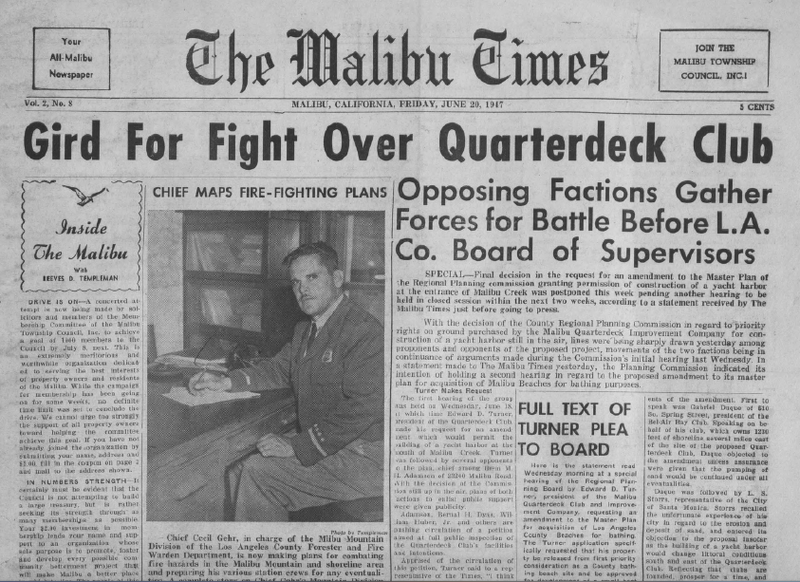 The fight over the Quarterdeck Club was the first time that the surfers' right to access the beach was a major issue in a Malibu development fight, but it wouldn't be the last. 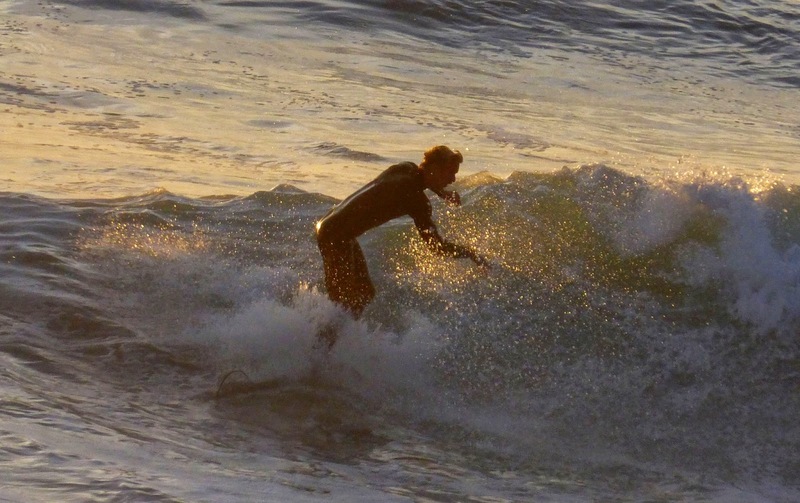 Surfers voiced the concern that the breakwater would ruin the surf, and expressed concern that the beach would be closed to the public and accessible only to the wealthy club members. Other residents raised concerns about the impact of the breakwater on coastal erosion and questioned the project's authority to close the swimming beach to the west of Malibu Creek used by Colony residents and other beachgoers. In September of 1947, Turner began excavating for the foundation of the yacht club. In November he held a BBQ in the Malibu Colony celebrating the driving of the first pile for the clubhouse. Two weeks later he was dead, leaving his stockholders scrambling to retrieve their uninvested capital. Turner, who was staying with friends in the Malibu Colony, was reportedly found dead still sitting on the sofa in the living room where his hosts last say him the night before. If life was a noir mystery novel, he would have been poisoned or shot by a project opponent, but his death was determined to have been from natural causes. 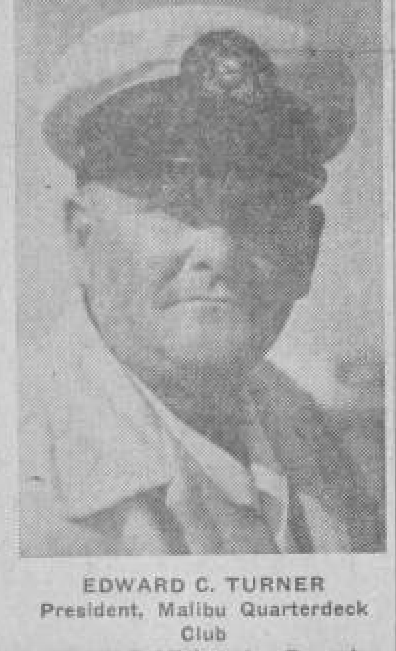 Edward Turner, in 1947, wearing a jaunty nautical hat. For several years after Turner's death, supporters of the project continued to produce press releases stating that construction was imminent, but it wasn't until the county released plans to build a multilane freeway through Malibu Canyon that the yacht harbor project was revived. The major second effort to develop the project was spearheaded by Henry Guttman, president of the "Malibu Improvement Association." Guttman's other "improvements" seem to consist of the row of office buildings on Malibu Road between the fire station and Webb Way. 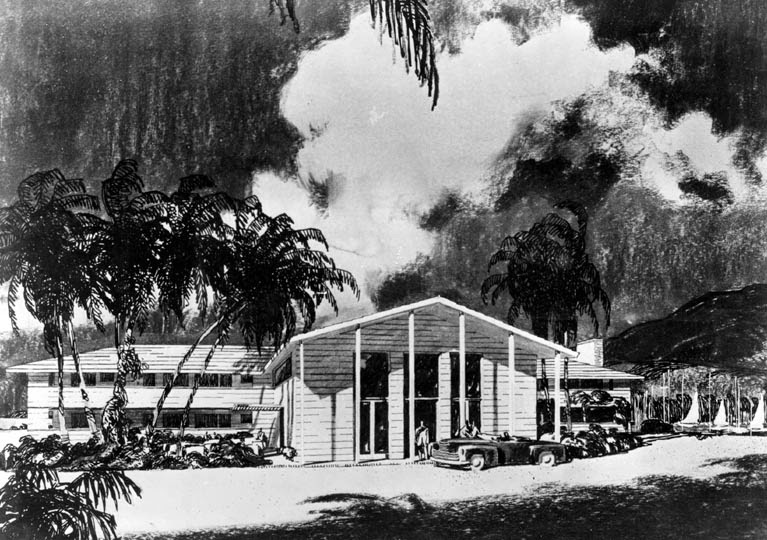 However, he reportedly secured the blessing of the county and the federal government in 1966 and arranged to use the hundreds of tons of rubble that would theoretically be blasted from the mountains for the freeway to build an even more ambitious breakwater, harbor and 300-home country club development. 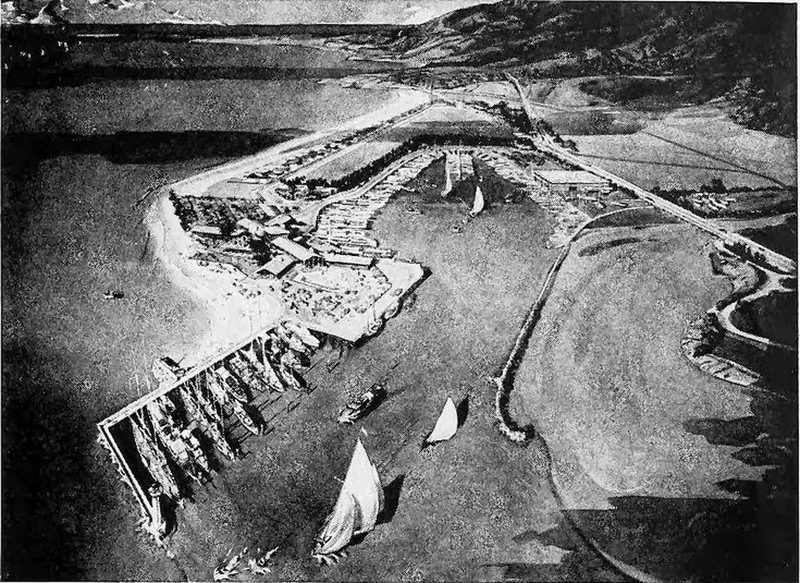 The 1966 proposal for a Malibu Marina was much larger and more ambitious than the 1947 development scheme. This plan depended on construction of the proposed Malibu Freeway, which would have transformed the Civic Center area into an interchange and probably rendered much of Malibu unlivable. This artist's rendering of Guttman's marina plan is from an ad in the July 22, 1962 Evening Outlook. It doesn't show the epic breakwater extending a mile into the bay or the proposed Malibu Freeway that was part of the project. “One of Malibu’s fondest dreams, that of establishing a small craft harbor, with all its attendant lodging, dining and recreational facilities, now seems closer to reality,” a 1966 brochure advertising the proposed marina states. As one of his selling points, Guttman used statistics released by the Los Angeles Regional Planning Commission in 1966 that estimated that the population of Malibu would expand to 117,000 by 1980. If one harbor wasn't enough, a second yacht club corporation was founded in 1962 with the intent to build a marina at Point Dume. There was talk at first of using Big Dume Cove, but when the official plans surfaced in 1971, the proposed marina was sited at Paradise Cove. There was tremendous pressure to build a Malibu marina (or two) in the '60s and early '70s. Yacht harbors were springing up all over the coast. Construction began on Marina Del Rey in 1953 and was completed in 1965; on the other side of Malibu, the Channel Islands Harbor broke ground in 1960. In 1972, there was a push for a Santa Monica marina as well. Project opponents were told repeatedly that they were standing in the way of "progress." "We, the undersigned, request that no further funds be appropriated for, or expended by the U.S. Army Corps of Engineers, the State of California, or the County of Los Angeles for the study, design, or construction of a marina, boat harbor, or related facilities along the fragile Malibu seashore. 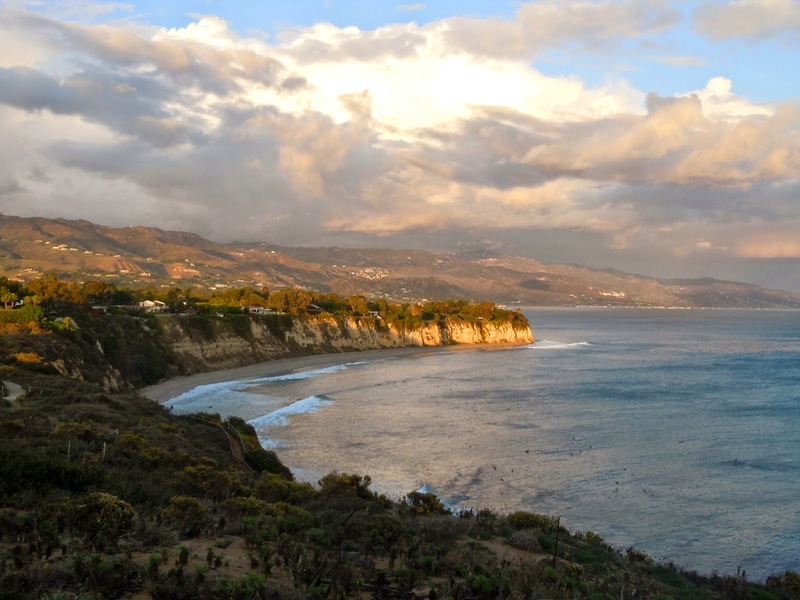 "The narrow coastal Malibu bluffs and beaches are a priceless resource, the last unspoiled coastline [and] of major importance to the entire Los Angeles Metropolitan region. "Construction of a marina on the Malibu coastline will deplete sands transported by the longshore current to remaining beaches in Malibu, the City of Santa Monica, the City of Los Angeles and other South Bay communities; will be destructive to marine creatures; tidepools; and the last economically important giant kelp beds in three counties; and will bring unbridled development; traffic congestion; and visual, air, and noise pollution to the adjacent fresh air and recreational resource, the coastal slopes of the Santa Monica Mountains." The yacht club developers weren't troubled by any of these things, or the plight of California brown pelicans, great blue herons, snowy plover or other resident shore and wetland bird species—most were rarely seen, with populations hovering on the brink of extinction due to DDT use, but the people of Malibu were concerned. The environmental movement was gaining serious momentum and the projects met furious opposition. The petition states "return to Malibu Citizens for Good Community Planning, Coastal Committee, c/o John Guldimann." The battle for good community planning is still being fought but at least the fight over yacht harbors was won. The September 3, 1970 issue of the Los Angeles Times features a story about the Malibu Freeway project, which was beginning to buckle under pressure from grassroots opposition. It states that "City Traffic Commissioners Anticipate Reauthorization After 'Ecology Hysteria' Dies Down." Unfortunately for the commissioners, their insane optimism was unfounded. The ecological movement didn't die down, it gathered strength. In 1972, the Coastal Act was finally passed. It would take several years for coastal protections to go into effect—the first draft of the coastal development guidelines was only released in 1976, the year the the commission's authority was extended indefinitely. By the early 1980s, even the most determined developers had to abandon their plans to transform Malibu into a "yachting center." Dad and the other activists who fought and defeated these massive projects never got much recognition. There were no Dolphin Awards or Malibu tiles. The reward was knowing that they went up against developers with massive resources and incentives and little regard for local concerns, and against entities like the Army Corps of Engineers, and won. 'That they were eventually able to defeat the freeway and the yacht club/harbor/marina plans, and save Surfrider, the Malibu Lagoon, and the Point Dume Headlands and Paradise Cove was the real reward. Today, Malibu has a population of 12,861, not 170,000. The Malibu Lagoon, Surfrider Beach, Big Dume Cove and the old Miller Ranch are all recognized as critical habitat and important recreational, scenic and historic resources that need to be protected and preserved. They are all State Parks properties, and part of the Santa Monica Mountains National Recreation Area. They are open to everyone, instead of being private yacht clubs accessible by only a wealthy few. Malibu activists continue to fight to save Malibu's resources for the future. The city's mission statement says that "Malibu citizens have historically evidenced a commitment to sacrifice urban and suburban conveniences in order to protect unaltered natural resources and rural characteristics..." Malibu's citizens have also fought like wildcats to preserve those resources and will continue to do so, regardless of threats or lawsuits. If the developers had a better grasp on Malibu history, they might have a better understanding of how to work with the community, instead of against it. Of course, if they really understood Malibu, maybe they wouldn't want to bulldoze it in the first place, and we could all spend our spare time on the beach, enjoying the sunset, instead of fighting to ensure the next generation will have a beach and everything else that makes Malibu, in Frederick Hasting Rindge's words, "very near terrestrial paradise," and not a yacht harbor or a "boutique shopping destination."